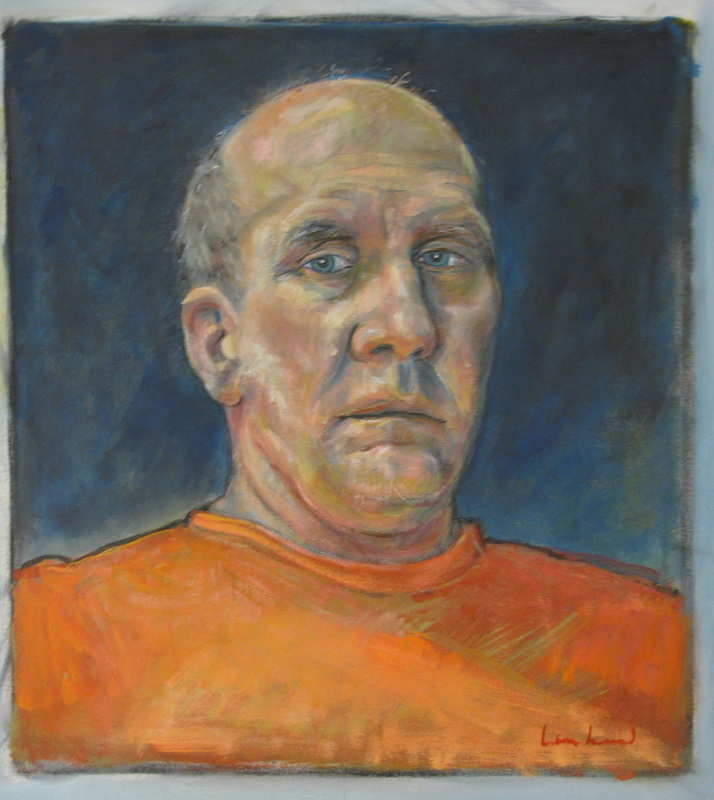 John Lenhard is an artist and owner of “The Artists Cave”, an art gallery and studio on Culver Road, Irondequoit, NY. John began painting with his fingers at the tender age of three, much to the dismay of his mother whose walls have never been the same since. After struggling through elementary and secondary school trying to follow in his father's footsteps to become a veterinarian, John's scholastic endeavors took a hard left turn with the encouragement of Ms. Doris Brit, the art instructor at Bishop Kearney High School. With his interest switched from math and science to drawing and painting, John enrolled at Alfred University where he studied fine art, education and psychology. After graduating from Alfred, he spent a semester at Nazareth College and a year at RIT working toward his master’s degree. Working full time as a roofing foreman, John married and raised a family, volunteered with the Boy Scouts and built a log cabin in the woods, all while dabbling in paint and charcoal on canvas and paper. In 2011, John joined the Irondequoit Art Club and decided it was time to devote more attention to his art. He purchased a small building in the Sea Breeze community and began converting it into an art gallery/studio and community arts center, which he named “The Artists Cave”. John has painted on three continents. His works hang in over 30 states as well as countries all over the world including private collections in Australia, Canada, Cuba, Denmark, Ecuador, England, France, Germany, Kenya, Malaysia, Spain, and Thailand.